The Horasis Asia Meeting 2018, which will be held in southern Binh Duong city, is a good opportunity to promote the image of Binh Duong province in particular and Vietnam in general among international partners and improve management capacity and science and technology in Vietnam on its way to speeding up the implementation of plans to build smart cities. This will be the 3rd Horasis Asia Meeting, with the first two taking place in Thailand in 2016 and in India last year. The Horasis Asia Meeting is being held within the framework of Horasis’s overall content, with a particular focus on Asian issues: opportunities, challenges, and visions for organizations in Industry 4.0 and the trend towards smart cities. Through the event, Binh Duong and international guests will discuss and jointly identify and create solutions, visions, and new business models, and support startups and solutions for the province’s smart city development. Domestic enterprises will have the opportunity to exchange and connect with a network of senior partners, founders, and CEOs from leading companies in Asia, the region and the world. This represents a precious opportunity to seek development partners and trade promotion and investment cooperation between Vietnam, Asia, and the world. More than 400 senior executives and CEOs from over 60 countries and territories and 400 leaders from top companies in Vietnam will meet with central and local authorities at the Horasis Asia Meeting 2018 to share experience and identify investment opportunities. Binh Duong continues to be an outstanding destination and was chosen as the host of the Horasis Asia Forum 2018 shortly after it successfully hosted the 11th conference of the WTA and Binh Duong Smart City was honored among a Smart21 community for 2019 by the New York-based Intelligent Community Forum (ICF). Held on November 25 and 26, the forum is being hosted by the Binh Duong Provincial People’s Committee in cooperation with the Horasis Global Vision Community, the Becamex IDC Corporation, the VSIP Group, the All India Management Association (AIMA), and the Young Premier Leadership Organization (YPO). Deputy Prime Minister Trinh Dinh Dung will also attend and start the opening ceremony of the forum together with high-ranking delegates. 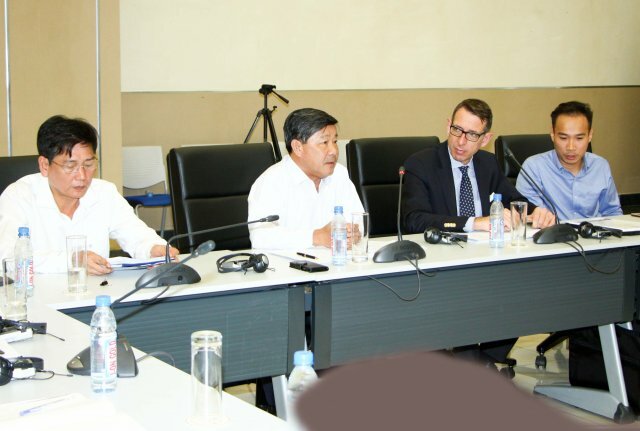 According to experts, Binh Duong’s deeper integration into the international community, including hosting the recent WTA and Horasis Asia Meeting, will help the province expand its international cooperation. At the same time, this integration is also a wider foundation for Binh Duong to realize its plan for comprehensive socioeconomic development towards the smart city model. Given the determination of local authorities to create smart cities, any additional cooperation with Horasis delegates will be beneficial, as would conversations about artificial intelligence (AI), Industry 4.0, smart cities, and the ongoing development of education alongside business and innovation. Binh Duong is increasingly consolidating its position with its regional and international partners. Thus, BW Industrial recognized that this is the right time to seize opportunities for strong development in the sector of for-rent industrial property, which aims at bringing Vietnam’s logistics and industrial sectors to new heights. When Vietnamese enterprises are more and more stable in technical and qualified human resources, with strengths in setting up new businesses, there will be many more opportunities for enterprises like BW Industrial to develop and supply needed industrial real estate products to the market and help minimize risks for investors in Vietnam.